Click "Sponsor Now" to add Kennedy Masika Moi's Bridge Kenya to your order. Sponsor Kennedy Masika. Sponsorship provides these indigenous missionaries much needed funds to continue the work the Lord Jesus has called them to do. Please partner with Kennedy today. 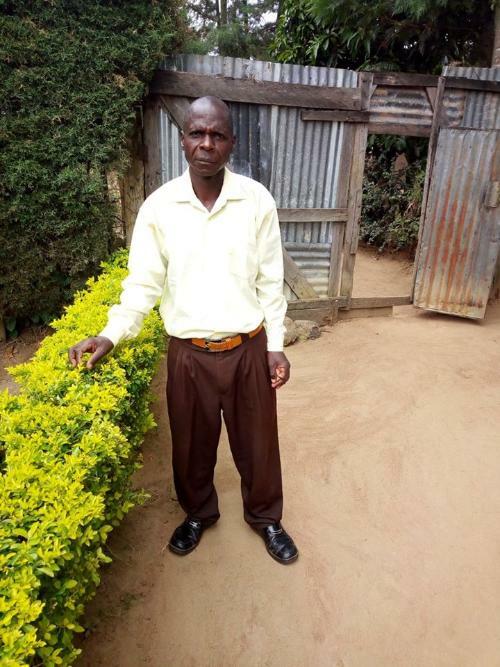 Brother Kennedy Masika is 48 years old and married to his beloved wife Monicah. They are blessed with 4 children, 3 daughters and a son .He came out of the "Faith Homes" denomination and has been alone until we started the house fellowship. A good preacher of the word and gifted in dealing with the youth . He oversees our other few brethren from the other end of the state and is an elder of Working Faith Fellowship Moi's Bridge. A good trusted brother. He does manual jobs for his family's upkeep.